Unmoored Ego ($5.79) Price History from major stores - Guilds of Ravnica (Foil) - MTGPrice.com Values for Ebay, Amazon and hobby stores! Card Text: Choose a card name. 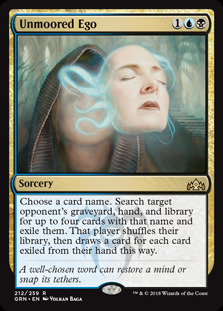 Search target opponent's graveyard, hand, and library for up to four cards with that name and exile them. 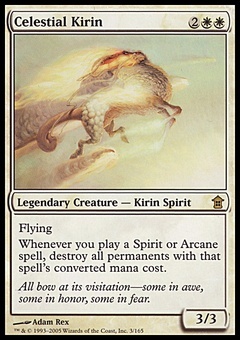 That player shuffles their library, then draws a card for each card exiled from their hand this way. Flavor Text: A well-chosen word can restore a mind or snap its tethers.